DIYNAMIC FESTIVAL IS BACK… FOR THE FIRST TIME ON A SATURDAY! AND A LINE UP UNLIKE ANY DIYNAMIC FESTIVAL EVER BEFORE! 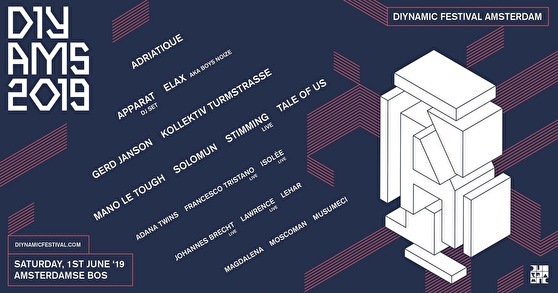 On the 1st of June 2019 we’re back for the seventh edition of Diynamic Festival Amsterdam. We’re looking forward to return to the Amsterdamse Bos, a picturesque forest where last year’s memorable edition also took place, only this time around we’ll be catching ourselves a full Saturday.